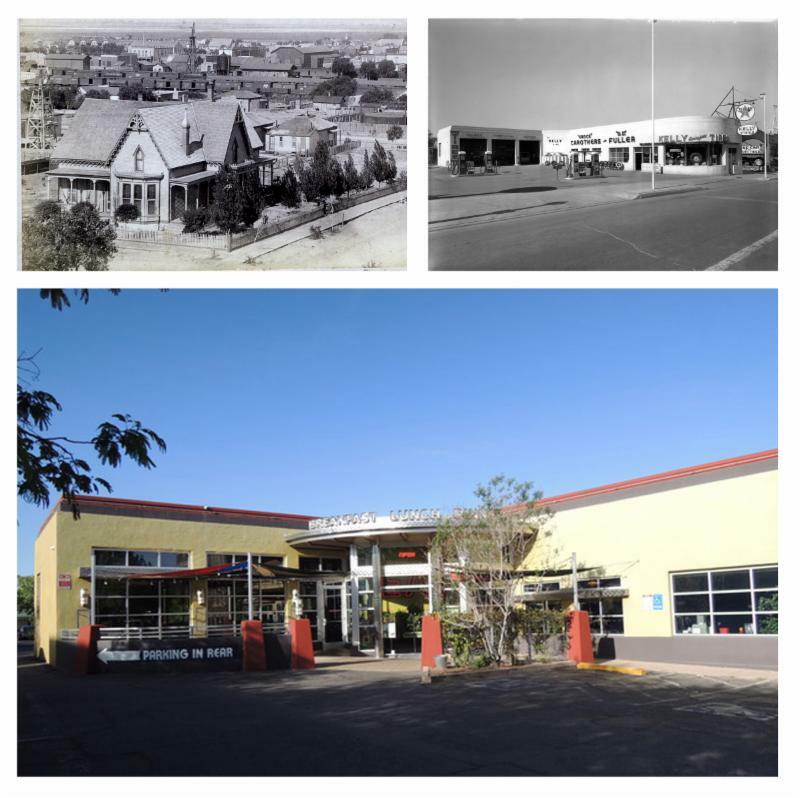 ALBUQUERQUE, NM - Originally named Huning&apos;s Highland after the mover and shaker who conceived of it - and now affectionately known as EDo - this community preserves the past while also looking to the future. Join us in a celebration of one of Albuquerque&apos;s great neighborhoods. Mansions, Motoring, and Millennials is on view at Albuquerque Museum November 18, 2017 to May 20, 2018. Huning&apos;s Highland neighborhood has been impacted by the local economy and reflects drastic citywide changes. Historic exhibit photos document those changes primarily along Central Avenue. Huning&apos;s Highland was the first neighborhood platted after the Atlantic and Pacific Railroad, a subsidiary of the Atchison, Topeka and Santa Fe Railway, laid tracks to Albuquerque in 1880. Subdivision boundaries are the railroad tracks on the west, Martin Luther King Jr. Avenue on the north, the freeway 1-25 on the east, and Iron Avenue on the south. This exhibition will show the impact municipal development has on residential neighborhoods by focusing on the dramatic transformation that occurred in Franz Huning&apos;s Highland Addition neighborhood along Central Avenue from the late 19th century to present day. Mansions, Motoring, and Millennials is curated by Community Curator Ann Carson with assistance from Cynthia Carson, Susan Swartz, and Mo Palmer. Fred Luthy Mansion c.1880, courtesy Albuquerque Museum Photo Archives, PA1977.096.043. Exterior view of the Carothers and Fuller featuring service station, Kelly Tires, and Texaco Petroleum Products c. 1938, courtesy Albuquerque Museum Photo Archives, PA1992.005.688. In 2006 the building was converted for the Standard Diner. Standard Diner Restaurant located at 320 Central SE, 2017, courtesy photographer Ann Carson. 1908 Mansions By 1908 most of the blocks were filled with homes that duplicated eastern or mid-western housing styles. Newcomers relocated to Albuquerque to work for the railroad and to establish and work at businesses downtown. Houses both grand and modest, lined Central Avenue and the neighborhood. 1950 Motoring Central Avenue was designated as the newly routed Route 66 in 1937. Filling stations and small businesses replaced many of the homes. When the Pan American Highway, now 1-25, was opened in 1960 six motels eliminated most of the auto services. The neighborhood declined. 2017 Millennials All the filling stations and two motels are gone. Old Albuquerque High School, which closed and sat empty for 25 years, is filled with classy condominiums and apartments. The old AT & SF railroad hospital is an elegant boutique hotel. Businesses and restaurants thrive. The present economic trend is targeted to the millennial crowd. Since 2005 Central and Broadway in Huning&apos;s Highland are now known as EDO or East Downtown.